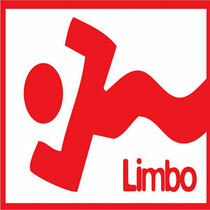 Celebrating its 20th anniversary in 2012, Limbo Records look back to move forward in this special year by getting some of their classic tracks remixed by current artists for another assault on today’s dance floors. Over the years, the label has released some special music, from artists such as Harri, Havana and this one by Gypsy, to more current sounds from DJ/producers such as Gleave. ‘Gypsy’ has always been one of their best and brings back memories of underground clubs with low ceilings with hundreds of people dancing to credible music. There were no cheesy, bleepy urban crossovers back then! Thankfully, the label has stayed true to its credible roots by enlisting some highly respected remixers to pay homage to this classic. Andy King, Gleave, Danny Stubbs and Fake ID are just some of the guys who have contributed to the incredible nine remixes on offer! Check it out on the Soundcloud below, there’s definitely one for everyone. We think it's out mid-September.